This book, about an immature college student, was one of the most nuanced, complicated, adult books I have ever read. While reading it, I was unsure if I had picked up a novel or a memoir. As it turns out, it is a bit of each. Knowing that Oates is writing about herself makes the reader's relationship to the novel more complex. Oates does not seem to like her protagonist much, and we are not invited to like or admire her, either. She drags the protagonist kicking and screaming out of her own head and into adulthood, and she does it without sentimentality, pity, or even mercy. Although the protagonist engages with philosophy at a level few of us will achieve, she doesn't even begin to understand her own experiences. She doesn't understand the people around her, and she is unable to understand herself in context. She makes mistakes that make the reader cringe, and at times I even felt a little queasy. Partway through, I put the book down for several weeks. Oates is unflinching in her examination of the protagonist's thoughts and experiences, and this is not an easy read. But that is appropriate, because (in my experience) people who are so smart with ideas and so dumb about people tend to suffer quite a bit before they figure things out. The main question I had at the end of the novel was whether the protagonist had matured enough to deserve Oates' love. I think she must have, because otherwise the novel would be incomplete. And also because the last line is addressed to a lover, indicating that the protagonist is beginning a real relationship, which implies that she has matured. Hugs to all of us who used to be smart but innocently awful, and what we went through to get better. 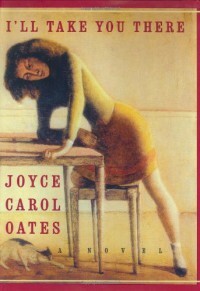 Joyce Carol Oates is a superstar author. Her material may be difficult, but her skill makes the reading wonderful. This novel made me uncomfortable, but of course it was absolutely worth it. Recommended.